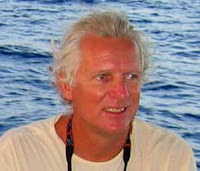 Spotlight on Captain Larry Tyler: owner & captain of sailing yacht THE DOVE (54-foot sloop) and also a trained chef, professional photographer & filmmaker who sailed around the globe on a 35' yacht using celestial navigation. Larry here shares with us one of his secrets for happy, repeat charter guests on THE DOVE! Preheat oven to 200 c (375 F). Peel ginger and cut into thin slices and then cut again into thin slivers. With a sharp knife peel the lemon and cut the zest into thin matchsticks. Place ginger, lemon zest, water and sugar into a small pan and bring slowly to the boil, then simmer for 2 minutes and leave to cool and then strain syrup through a sieve, reserving the lemon zest and ginger for the crust. In a large bowl whisk the cream cheese with an electric mixer on medium until smooth, add eggs one at a time, cream or yoghurt and vanilla extract and beat until smooth. Fold in the sieved cooled syrup until blended and then rum soaked raisins if desired. Base: break up the biscuits and crush them in a bowl, add the melted cooled butter and mix well with a wooden spoon. Then put mixture at bottom of round baking tin and press hard with spoon or the bottom of a flat glass or mug. Sprinkle the biscuit mixture with the lemon zest and ginger. Pour the cream cheese mixture on top of biscuit base and place in the oven for approx. 45 minutes or until golden brown on top and the centre is still a little wobbly when you move it. Allow to cool and place in the refrigerator for a few hours or over night, serve well chilled. Note: Cooking time depends on your preference of how moist you like the finished cheesecake. Inserting a knife does not work on this cake. When the cake comes out of oven it will deflate a little this is normal. Using an 8" (20cm) to 9"(23cm) x 3"(8cm) round baking tin with detachable base is best. For the base you may also digestive biscuits or ginger snaps. Raisins can omitted, if desired. The Dove is a 54-foot sloop which accommodates up to four guests in two cabins. Try the recipe and let us know how it came out... Or, better yet, come on down and have Larry make it for you! TIVOLI's owner has decided to postpone plans to return to Norway & Northern Europe until Summer 2010. 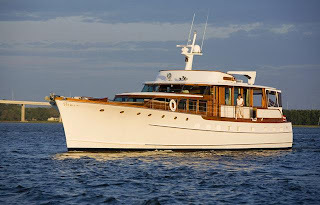 Therefore the motor yacht TIVOLI is available for Summer 2009 charters in her home waters of New England. TIVOLI is a 90-foot Doggersbank offshore expedition vessel that accommodates up to six guests in three cabins. Accommodation Description: Three staterooms radiate from a central foyer. The master stateroom has a centerline queen bed & separate his & hers baths -- one with a marble shower and one with a steam shower plus whirlpool tub. The two other guest staterooms each have twin lower single beds with one upper Pullman berth. Each twin cabin has an ensuite bath with enclosed marble shower. WISHING STAR is classic 84-foot Trumpy motor yacht with a crew of two, available for charter from the Bahamas to Maine, depending on the season. When it comes to a classic gentleman’s motor yacht, there’s nothing like a Trumpy – especially one like Wishing Star. Exquisitely maintained, with a handsome and impeccable interior, she is the ideal choice for those who appreciate traditional elegance afloat. In the first half of the twentieth century, society’s most prominent members knew that owning a Trumpy meant you had truly arrived. The DuPont, Guggenheim, Morgan, Dodge, and Chrysler families all had Trumpy yachts. Even the famous Sequoia, the official yacht of seven U.S. Presidents (from Roosevelt to Carter), was a Trumpy. We just read in one of our favorite boating blogs (Casco Bay Boaters Blog) that "After a 35-year hiatus, the iconic Trumpy name will soon grace the hull of an elegant new motoryacht." This is good news for all Trumpy fans. The photo shows that they are still going for the classic look, too! Wishing Star accommodates up to six guests in 3 staterooms (one queen & two twins). Having recently undergone an extensive refit, her varnish is sparkling, her paint is fresh, and her rich upholsteries, drapes, carpets, linens and other soft furnishings are all new. The charming, experienced, and genuinely welcoming crew of Roberta and Bret Todd are dedicated Trumpy enthusiasts and look forward to sharing this sweetheart of a yacht with their guests. A third crew is available on an as needed basis... inquire. Wishing Star's charter rate is $22,000/week plus expenses. We just heard a rumor on our local St Maarten radio station that Jimmy Buffett will be doing a concert in November 2009 to celebrate the 60th anniversary of Le Select restaurant in St.Barths. that JB will play sometime over the 3 days, but only a few songs and it will not be a concert! It will only be at Select and not at the dock like before and will NOT be as big of party. He said that the 50th was sooo much work preparing months ahead for it he did not what to go thru all of that again. Things might change with Jimmy, but for right now just a couple of songs at Select on one of the three days. We really enjoyed the Anguilla concert two years ago and this sounds like a fun time, too. What would be cooler than to be on your own chartered yacht for this historic event. We hope to be there! COCONUT is offering one free charter day for the remainder of their Caribbean season... 8 days for the price of 7 !!! Accommodation Description: Aft master cabin has centerline queen berth, ensuite head and separate shower. Two ensuite forward guest cabins have one lower double berth and private heads with separate showers. We hope you can sail in the waters where we grew up... Bob is from California and Sheila is from Washington State... The San Juan Islands are beautiful! 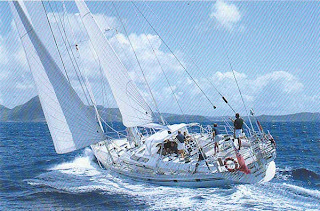 LELANTA is available for the Antigua Classic Yacht Regatta, April 16-21, 2009, AND Antigua Race Week, April 25-May 1, 2009. Guest aft queen cabin has two opening ports & companionway to Cockpit. Guest Forward Starboard cabin has two bunks upper / lower singles. Crew quarters in forward Port cabin and share forward starboard head. The Main head is off the main salon with sink, toilet & full shower. LELANTA typically charters with two guests using the private Aft cabin & two guests in the private Forward Starboard cabin. The Port cabin is used either for two additional guest bunks or for crew in combination with Forepeak bunk. Besides doing their excellent standard, all-inclusive term charters, RUNAWAY (82-foot Azimut motoryacht) is also available for day charters in the Virgin Islands. Jim, owner-operator of Runaway, recently wrote to us concerning their day trips, saying that they usually go from St. Thomas to Normal Island or Jost Van Dyke. They will go to The Baths for an additional $200. We inquired about diving as Jim is also a PDIC Dive Instructor. He said that he hadn't thought about including diving, nobody has ever asked before. 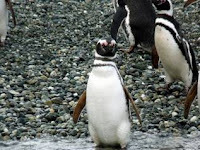 But, if we have a particular group that would like to dive, they can make it happen and would include it in the rate. A possibility would be a 2-tank dive on The Rhone. The price includes continental breakfast on boarding with coffee, bloody Mary's or mimosas, and open bar all day. Lunch is a substantial buffet style affair, including jerk chicken, blackened mahi mahi, Caesar salad, pasta salad, and fruit platter. Of course watersports such as snorkeling, waterskiing, or tubing is included. It's a full, fun day! S/Y MAGPIE - "Think Spring" Special! 7 nights with a 10% discount off the standard charter rate. MAGPIE is a 54-foot Jeanneau Sloop. They accommodate up to 4 guests. Each of the two aft cabins may be configured as en-suite king or twin berths. The forward cabins may be configured as 2 en-suite doubles or the partition can be removed making 1 large centerline queen with 2 bathrooms. 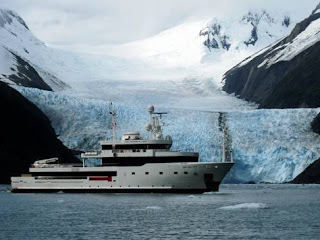 The motor yacht TRIBU is available for charter beginning February 20, 2009 in Puerto Mont to Puerto Arenas, Patagonia Chile. This 165.5 foot (50.5m) luxury, expedition-style charter yacht accommodates up to 10 guests in 5 cabins, and has a crew of 12. 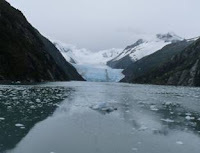 There will be two Chilean pilots/guides aboard to assist in this very special cruising ground. Justin & Cayley, crew of the 57-foot Lagoon catamaran ALDEBARAN, would like to announce that they are offering a $1000 discount off charters taking place before July 15, 2009. 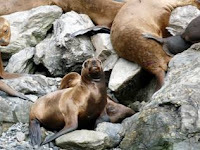 If it is a non-diving charter, you may take an additional $300 off the standard charter fee. 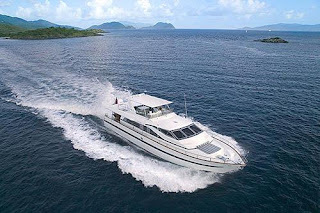 Charter catamaran Aldebaran to sail and dive the BVIs. Justin is a dive instructor and 2 dives/day are included in their rates for certified divers. 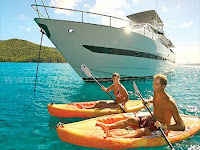 A yacht charter is a good value, quality vacation... Don't you deserve a break? Come on down! ASHLANA, a beautiful, owner-operated, 53-foot Little Harbor sloop, is offering a Honeymoon / Romantic Getaway Special for the months of February and March 2009. 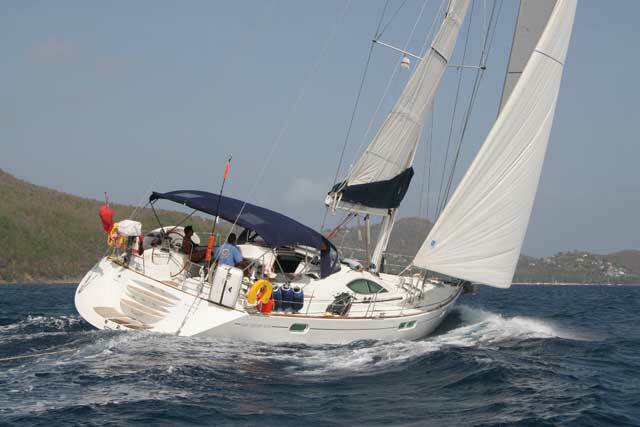 The beautiful 75-foot Privilege catamaran MATAU is offering a Winter Getaway Special of $5,000 off the weekly charter price, for charters taking place from now through 14th March 2009, anywhere in the Caribbean. MATAU has an expert crew of 4, under the direction of charming captain Brett Clark & his wife award-winning Chef Andrea Clark, plus stewardess and mate. Matau has accommodation for eight guests in one king and three queen cabins, each with private ensuite heads. Exceptional is the word for the king-bedded master stateroom with an ensuite bath as large as the guest cabins and the luxury of a full-size Jacuzzi tub.